Tsim Sha Tsui Promenade (尖沙咀海滨花园), extending from Kowloon’s colonial Clock Tower (尖沙咀鐘樓) to Hung Hom train station, is one of Hong Kong’s most spectacular walks. It is a wonderful stroll with some of the most breathtaking views of the Hong Kong Island and bustling Victoria Harbour (維多利亞港). The skyline of Hong Kong is one of the most spectacular in the World, and Tsim Sha Tsui Promenade is arguably the best place to enjoy it. People are walking, jogging, or practicing Tai Chi along the waterfront promenade. As you can expect, hordes of tourists are taking photos, mostly selfies, like crazy. You can join them or you can just sit and watch lively activities at and by the sea. To avoid crowds, come in the early morning. Victoria Harbour area is often full of smog which spoils the view. Along the Tsim Sha Tsui Promenade, there are restaurants, cafes, and benches. Prices in the restaurants along the walkway are usually higher than elsewhere in Hong Kong. Enjoy your walk during the day along with many tourists, locals, fishermen or/and visit one of the city attractions: Hong Kong’s main art museum – Hong Kong Museum of Art (香港藝術館), museum of astronomy and space science – Hong Kong Space Museum (香港太空館) or Hong Kong Cultural Centre (香港文化中心). It is hard to miss Avenue of Stars (星光大道) – Hong Kong’s counterpart of Hollywood’s Walk of Fame and its world famous Bruce Lee statue. 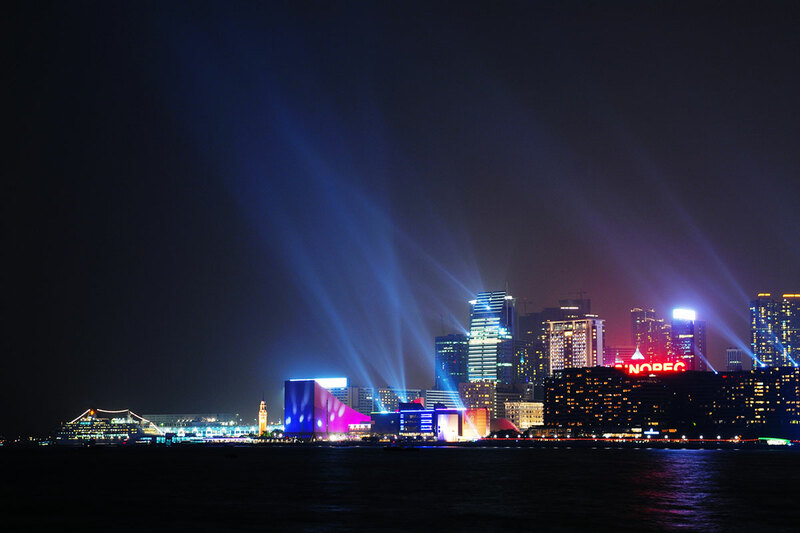 At night, there is even more to see: magnificent Symphony of Lights (幻彩詠香江), the world’s largest permanent laser light and sound show. This daily show begins at 20:00 and lasts 15 minutes. Make sure to show up at least half an hour earlier for the first-row spot for a photo shooting. To get completely different perspective, visit Tsim Sha Tsui Promenade both in the day and at night. One of the Star Ferry piers is located at the Tsim Sha Tsui Promenade. 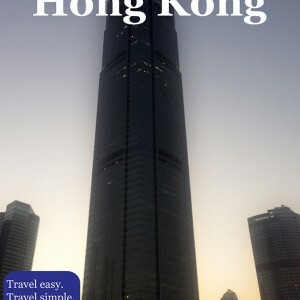 Transportation: Metro: On Tsuen Wan metro line get off at the Tsim Sha Tsui station, Exit E.
Star Ferry: Take the Star Ferry from Central or Wan Chai to Hong Kong Island. The Promenade is next to the Star Ferry Pier in Kowloon.